Glittering Elements is joining in again for our auctions this year. Casey (the creator of Glittering Elements) has also made special necklaces to match her polishes. 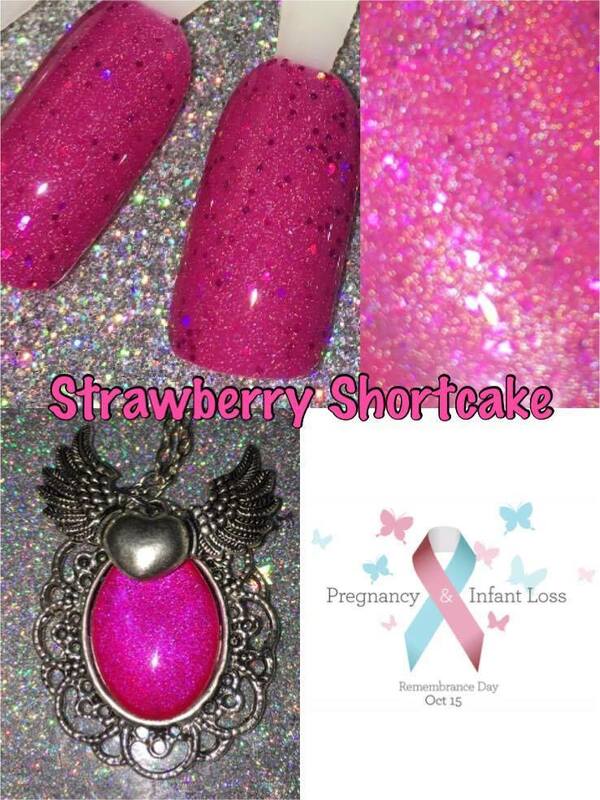 Strawberry Shortcake has a pink crelly-ish base with pink holo micro glitters and a holo shimmer. Such a pretty polish and the necklace is stunning. Thank you Glittering Elements.